Is Steve Jobs Trying To Protect Our Children From Cavities Too? Handed out at the local Apple store during a night of mall trick or treating in lieu of candy. 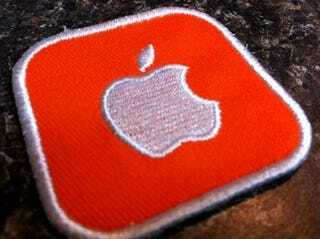 Shouldn't Apple be handing out King Sized Snickers bars, not patches, by now?